So when it came to choosing a highchair for my little girl I spent endless hours researching which product might be best for us. After endless hours of reading up on products and reviews I opted for the Chicco Polly Highchair in their Seventy design. 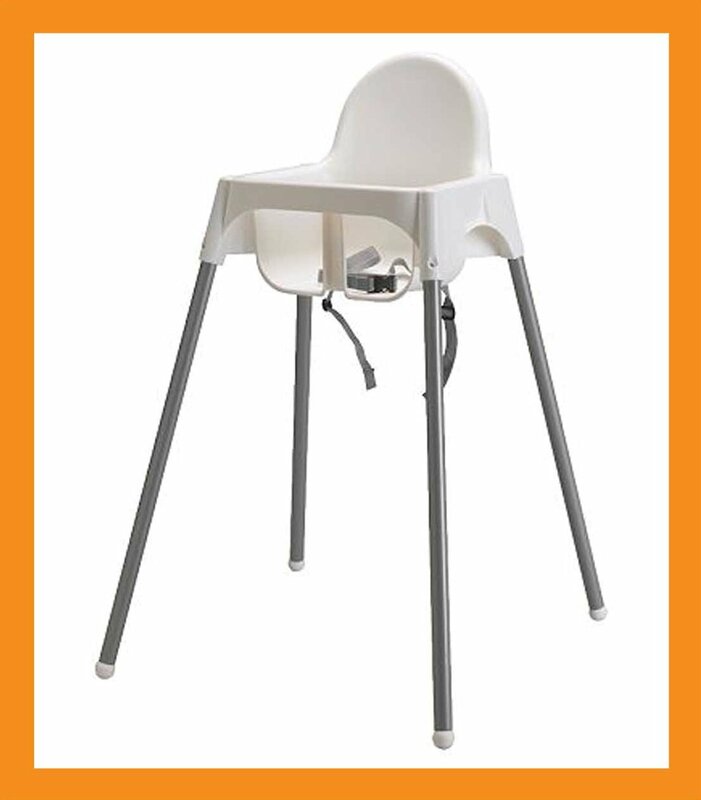 I chose this highchair because of some of the great features it boasted and the fact that it can accommodate children from 6 months to 3 years. The seat itself features an outer padded removable cover, which is designed to offer more comfort and support to younger children, and can be removed as they grow older to give more space. The tray slides on easily and can be adjusted to three different positions (I guess again this is designed to grow with your child). There’s also a removable food tray which is handy for removing and wiping down. There’s a parent tray which can be attached to the side of the rear leg for you to place your own drink etc on. Bearing all of the above in mind I thought it would be a great buy, offering a versatile product with a host of really useful features. Which, I guess is what I got. It does what it says on the tin! However… having used this chair for a year now I have to question whether I really needed this all signing all dancing chair? Have I really used the height adjustment? No, maybe once and that’s it. The chair remains at the same place next to my dining table so I have had no need for this feature. The one time I did use it I had wheeled it through to my living room and tried feeding my daughter in there with us while we had guests. However the chair is so big and cumbersome it wasn’t worth the effort and I’ve never done it again! I did use the adjustable leg rest as my daughter was so small when she was younger this feature did help support her in the chair more. As we are on the topic of ‘small’ I have to say I was very disappointed in the outer padded cover, which is meant to give support to younger / smaller children. My daughter looked lost in it for the first 6 months, she didn’t seem supported or comfortable at all! It’s also quite hard to clean in the crevasses of the seat and crumbs do get stuck in these areas and are hard to get out. The wheels on the back of the chair are a good idea. However I found the chair very heavy and therefore not easy to manoeuvre using these. The adjustable tray with removable food tray is a great idea and I use the removable tray all the time, just lift, remove and clean, you can also prepare food and place it straight onto the tray when they are younger and carry it through from the kitchen to the chair. However it is high and both my daughter, and other friend’s children who’ve used the chair, have had to stretch to reach up to the table, not great when you are trying finger foods during weaning. It could do with being positioned lower. I have found that food does get stuck in the seam of the table that runs along the middle of the outside of the main table. Particularly the area that slides up against your child, as they inevitably drop food down there and it gets crushed against the table. It’s quite hard to clean and get dirt out of this part too. The parent try isn’t something I have ever used, it just seemed to get in the way and I always sat at the dining table with my daughter anyway when she was in the chair. I can see it would be beneficial if you were using it in the living room for example. The high chair collapses for storage however it is still quite bulky once it is collapsed and I have found that whilst it is meant to be freestanding it’s not really and does need to lean against something to keep it upright and safe. The wheels on the back also means that it can slip easily, even when stood against something. The storage bag frankly is neither use nor ornament, it is very small and compact stretching across the two back legs, you can hardly fit a couple of bibs, wipes and muslins in it and because it is so tight it’s not easy just to grab something out of it. I’ve not split the frame legs in half for storing or travel as I haven’t needed to and frankly I wouldn’t want to lug this high chair anywhere! All in all, a great featured chair, but in reality do you really need it? 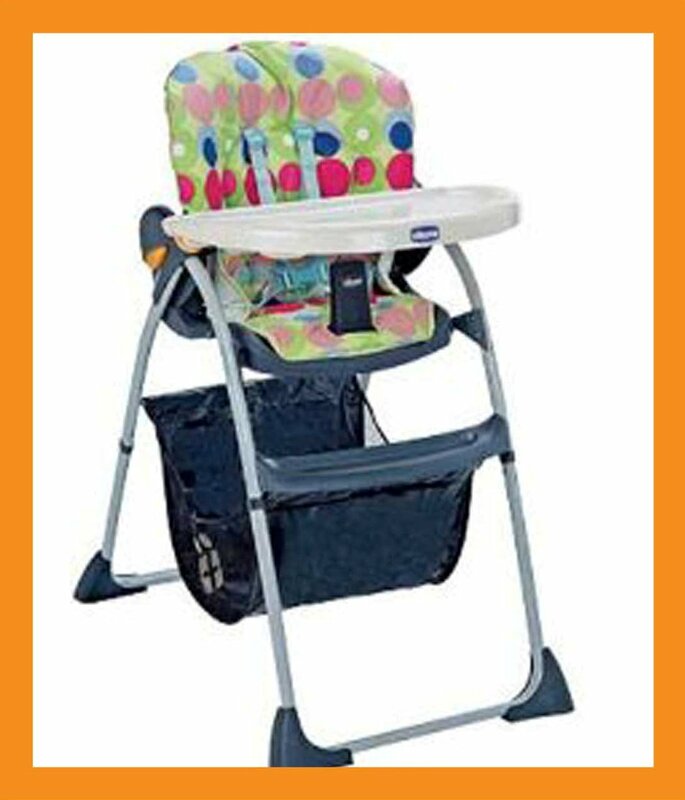 My parents have the Chicco Happy Snack chair and this product to be seems a lot simpler and better, however it does have a complicated fold mechanism which means they generally tend to keep this chair set up in the corner of the room. It has a big storage bag under the chair, big enough to put toys, nappies, wipes, bibs and muslins and still have room for more! The seat area has a built in stopper which sits between your child’s legs which means your child is secure with or without the table and can therefore sit comfortably up at a main table in the chair. The only downside would be I imagine they therefore grow out of the chair quicker. The table slides on easily and is very light but doesn’t have a removable tray. The product itself is a lot lighter than the Chicco Polly chair though so easier to move around, even unfolded! 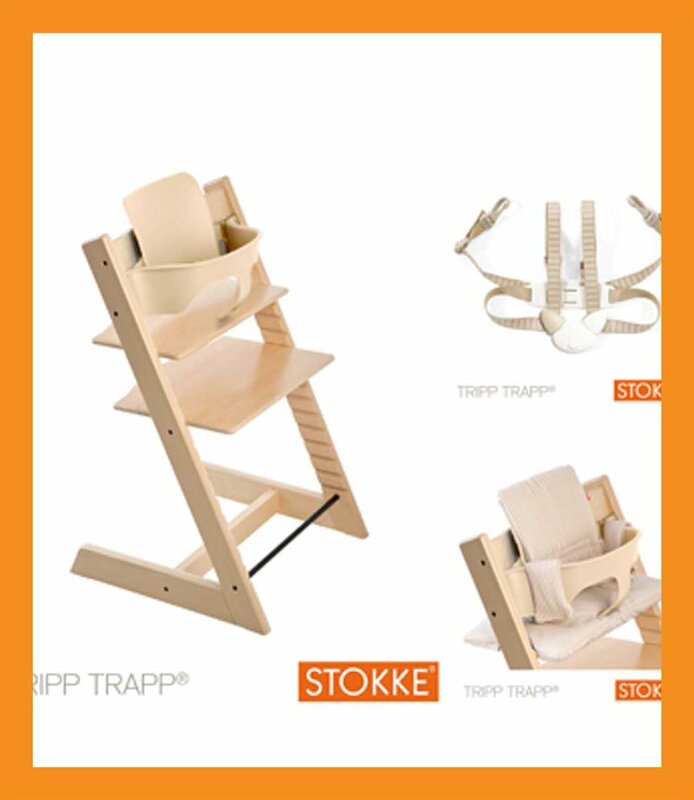 I was very close to buying the Stokke Tripp Trapp chair and I kind of wish I had now. It’s a fantastic, basic concept that encourages your child to eat directly at the table with you and the chair grows with them for many years. If I were to go back and do this again. This is the type of product I would no doubt buy and ultimately end up recommending so why not check it out. There are some very similar products to this out there now too that have a much cheaper price tag so worth looking at those too. So following my thoughts and feelings on the high chairs that I’ve used on a regular basis I guess my view for any new parents, about any products, would be to really consider whether you truly need the all singing all dancing products that you look at, whilst the features often sound great ask yourself if you will really use them. Sometimes the answer may well be yes. However taking time to stop, think and have a reality check could save you a lot in the long run. If you have any further thoughts or comments please do share them with us. 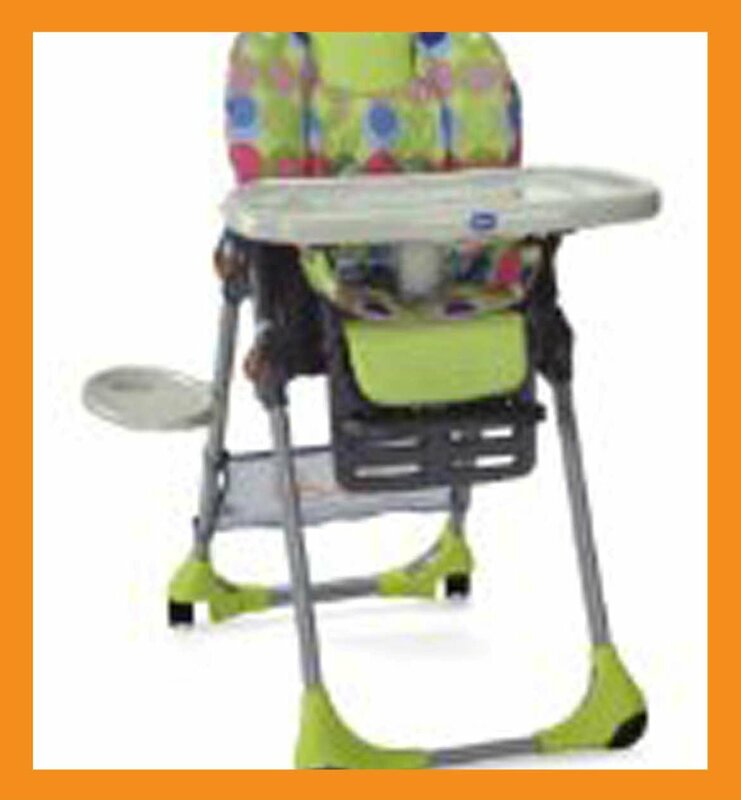 What Highchairs do you use and do they do the job? Hiya, a great review and I would be inclined to agree. I have been through a few different highchairs and have to say the adjustable height is great if you dont sit at the table all the time and the removable food tray is a very good idea too. I had the fisher price ocean design chair and loved the removable tray. I also think that the adjustable tray is a very good idea as I have found some of the fixed tray models can have an uncomfortable eating position with the tray being too far away or too close making it hard to get baby in and out. I totally agree, we had the chicco one that doesn’t have the adjustable height on and although I used it right through for my first child it was big and bulky. Now my 2nd child is 19 months, I used the chicco one again until about 9 months when I bought a booster seat that fixes directly to your dining room chair. I have to say for £20 it’s been the best thing I’ve bought. He sits right up to the table with us all and is so much better than my 1st was at feeding himself and eats anything going. Whilst I know they are all different, I can’t help but think that he can see and interact with us much better. It also folds flat for when we go away! Good luck with your next purchase!! a blog that�s equally educative and interesting, and without a doubt, you’ve hit the nail on the head. The problem is something which not enough people are speaking intelligently about. I am very happy I came across this during my hunt for something relating to this.